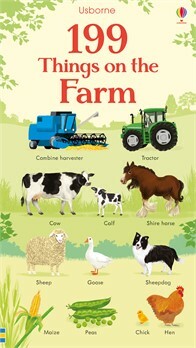 This colourful word book is filled with pictures of things you can expect to find on a farm, from pigs and sheep to scarecrows, tractors and apple trees. The book is organised into themed pages, including animals on the farm, the orchard, growing vegetables, the stables and the farm shop. Great for developing vocabulary and language skills.